If you are a regular listener to the Total Tuscany Podcast, you know that we've talked about Querceto before, way back on Episode #3 with Jacopo di Battista. While traveling to the United States to promote the wines of Querceto, Jacopo met the love this life, Mary Shea. Having done consulting work in the food and wine industry, Mary knew a good wine when she tasted it. However, we aren't quite sure if that was prerequisite to getting the first date but I'm sure it didn't hurt. For us, the best part about Querceto is not the wine. Don't get me wrong they taste amazing! But as you can tell from our podcast, we LOVE Tuscany, and it was Querceto that made it feel like home. There are ten apartments on location that sleep anywhere from two people up to six. You can stay here a night, a week, a month, or even longer. If we had our way, we would have never left. It's hard to believe we have been podcasting for over two years! Hundreds of thousands of listens later we have arrived at episode #46. The number itself isn't that significant; the content in this episode is what we are so excited for you to hear. For the longest time, we were stuck on page one. Are you stranded, looking to turn the page to have the entire world open up? Start with us as we host you in the Tuscan countryside with other couples who share the same feeling for Italy as you do. For the majority of us, the closest we will ever get to a Ferrari is at a car show where we are allowed to look, but not touch. Well, that is about to change. We've had Urbano Brini on the Total Tuscany podcast several times talking about his company, Florencetown Tours. We have experienced several of the companies outings have given all of them 5-stars. Urbano is a brilliant marketer who listens to the wants and needs of his customers and is constantly looking for new ways to provide tourists an authentic experience in Tuscany. Strap in and start your engine! You’re in control; it’s time to hit the road along vineyards and olive groves. 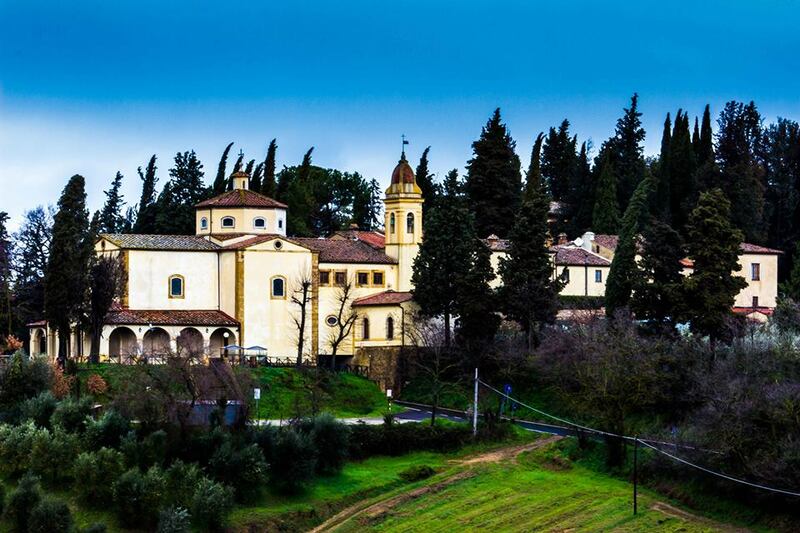 After the adrenaline subsides, relax and unwind in the heart of Chianti Classico wine region. Stop in a local medieval village for some pictures, and then enjoy the guided visit to a fascinating winery with its ancient cellars to learn the secrets of wine and olive oil production. At the end of the exciting drive, a traditional Tuscan lunch will be served with wine tasting at our boutique winery. Coming soon! The first ever Total Tuscany tour, spend a week with Travis and Pat in pure paradise, sign for our email newsletter and get more information when we officially announce details. Dario Cecchini is an entertainer. He has been featured all over the world and in our view is the most beloved butcher in Tuscany, maybe Italy and the world! Featured on TV, radio, and magazines; Dario is a showman for thousands of tourist who visits Panzano every year. Yes, when Dario is not traveling the world he is in his shop, behind the counter, part work, and part showman for visitors from near and far. We have visited Dario's market twice, the first in 2011. A day trip to Panzano. We were blown away by the by the experience. We watched in wonder, as did many others as Dario was able to perform his craft effortlessly and yet interact and entertain actual shoppers and even the onlookers there for a free glass of Chianti Classico, and a crostini with meat and lardo. Dario was not here on this evening, but the "show" was every bit as entertaining and delicious as we expected it would be. Our company was again a mix of locals and tourist. You make friends for a night, but memories for a lifetime. The setting for Sutherland's cooking school was perfect! They are situated in the heart of Brunello de Montalcino and Vino Nobile di Montepulciano country, and border on the Chianti wine region. This is an ideal spot for wine lovers and presents spectacular views of the Tuscan landscape. Bill and Patty are extraordinary people, and they wanted to make sure they were offering an extraordinary service, something different, something unique, something memorable. Just like that, Tuscan Women Cook was born. A week long cooking school that emphasizes the quality of a home cooked meal. How do you do that? Well, Bill recruited the women who live in the tiny village of Montefollonico. So every day you get to wake up and create the magic that tastes delicious and will give you memories that last a lifetime. The great thing about Tuscan Women Cook is, you have a different instructor every day. This means you will get different family recipes and different cooking styles to take home and impress your friends. In the podcast, you will notice Bill has a Texas accent. Well, when he's not living in Tuscany he's in Texas. The cultures are an ideal mix; it's all about hospitality! We would love to hear what you think of this podcast, feel free to leave your comments below. Also, take the time to follow us on Twitter, like our Facebook page, and sign up for our newsletter. Okay, let's see a show of hands; have you ever dreamed of studying in Tuscany? For some of you reading this right now, that dream has already come true. For some of you, it hasn't. Fort the last two years we have been committed to telling you about unique people, places and experiences in Tuscany. The 41st Total Tuscany Podcast is a dream come true for a young creative, or even an old creative. John Murphy has assembled a dream team of award winning photographers and filmmakers for a five-week intensive course this summer based out of Lucca, Italy. Do you have to be a current undergraduate or graduate student? The simple answer is no. What you need is a desire to create, learn and let your passion for storytelling shine in a place that will inspire you for a lifetime. Studio work will take place in Lucca. Following the students’ return to the United States, the same show of work will be exhibited in New York in September 2016. So how did this course come about? Find out from John Murphy in this podcast. Great personal stories that get the creative juices flowing and just might inspire you to take a 5-week "vacation" to study in what we consider to be heaven on earth. People often ask us what Tuscany is like; they want to know if what they see in the movies and read about on travel blogs is real. Our answer is always the same, Tuscany is every bit as beautiful as you can imagine. But like most things in life, not everything you see or do when you visit Tuscany is authentic as you might think. The big question you need to ask yourself as you start planning your first or next trip to Tuscany is; how can I get the most authentic experience possible? In our 40th edition of the Total Tuscany Podcast, we have found the authentic experience your are looking for, KM Zero Tours. Don't let the "tours" in its name fool you, Arianna Cinci grew up in Chianti and is committed to giving her guests an authentic Tuscan Experience. We first heard about Arianna and her partner Alessio from one of our favorite Tuscan bloggers, a former guest here on the Total Tuscany Podcast, Georgette Jupe. Her description of the KM Zero experience made us curious to find out more. From the moment we contacted Arianna, we knew she was going to have a fantastic story to tell. What we love about the video they have produced is that they don't need words to tell the story of what the experience is like; the pictures and video speak for themselves. KM Zero Tours tag line is, "Slow Travel in Tuscany". If you are like us, when you visit Tuscan you want to do more than just "see" things. You want immerse yourself in the culture and get a hand hands on experience that will create memories that last a lifetime. As you will hear when you listen to this podcast, Arianna is passionate about creating an authentic experience. She knows first hand what that should look like; she grew up on the on the estate they call Montrogoli. The five bedroom, four bathroom holiday home is for rent in the heart of Chianti. Whether you choose to stay at the holiday home or not, KM Zero Tours has a plan in place to give you a tailored tour that satisfies your need to experience Chianti the right way, authentically. Arianna and Alessio have partnered with local producers and craftsman that meet their high standards of excellence. Wine, cheese, pasta and olive oil, meat, handcrafted items and cooking classes. Look at the slideshow to see examples of excellence. Right now is the perfect time to start planning for a trip to Tuscany. There are so many things to do and see that you might not know where to start. We recommend KM Zero, which means, no distance. Listen to the podcast and hear firsthand why you don't have to go far to get authentic Tuscany. As we get ready to celebrate Labor Day in the United States, we take time to celebrate a labor of love for a couple of expats who took a chance 10 years ago. Ashley and Jason Bartner are the creators of La Tavola Marche. They explain their business the best on the the home pate of their website. La Tavola Marche is a unique culinary experience where you actively participate in Italian culture through seasonal activities paired with local artisans, farmers, and wine makers while staying in a 300 year-old farmhouse agriturismo. If you are willing to muddy your feet, we'll guide you off the beaten path where you will see Italy at its roots. From the hustle and bustle of New York City to the simple life of the Italian countryside; Ashley and Jason have never heard the word "fail." After honeymooning in Italy the two decided this was the the life for them and with a definite "can do" attitude and a desire to offer a unique experience to tourist they started La Tavola Marche. 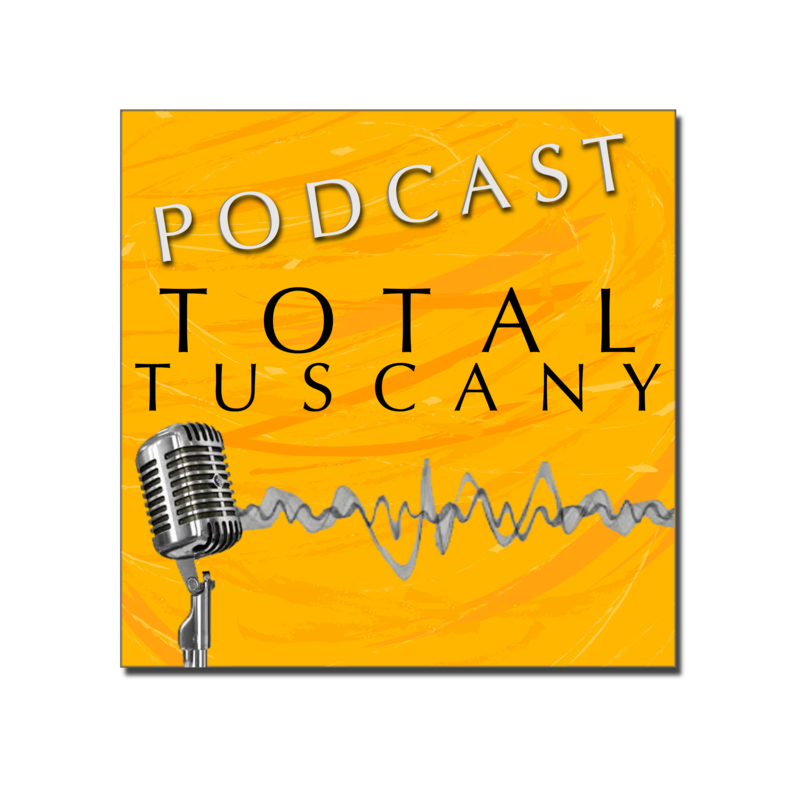 In this edition of the Total Tuscany Podcast, we talk with Ashley about the journey she and her husband have been on. The ups and downs of owning a business in Italy; starting with what Ashley calls Kindergarten Italian to where they are now. Has it been easy? No! But getting what you want never is. A lot of us wish our dreams would come true, Ashley and Jason made theirs come to life. La Tavola Marche offers the total package when it come comes to the giving tourists the relaxed Italian countryside experience. Farming, lodging, cooking classes and most of all great people! Normally, this podcast is about places in Tuscany, well we aren't afraid of going outside the region for a good story to tell. Enjoy the podcast and leave your comments below, we would love to hear what you think.